Haute Collier was founded in 2012 by Lynn Nubarian. A fashion industry veteran, Lynn’s career path began in wholesale and eventually shifted into luxury retail. Feeling the urge to tap into her creativity, and seeing a void in the marketplace after the need arose to create a necklace for herself for an event, Lynn decided to teach herself and pursue her lifelong ambition of owning and running her own design business. 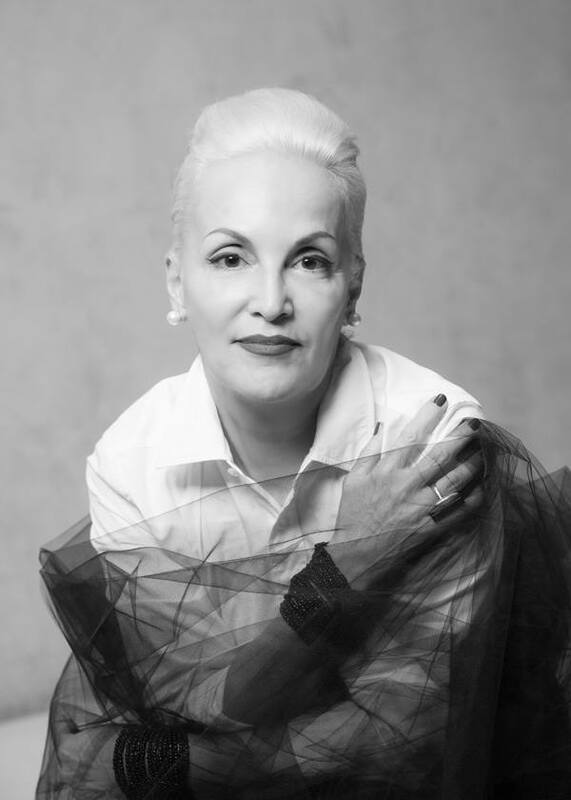 As founder and creative director, Lynn is responsible for designing and creating each piece. Haute Collier translates from the French ‘high collar or necklace’. The logo, the Phoenix, represents the elegance and femininity of Lynn’s pieces. The Phoenix is also representative of transformation… as in the transformation that occurs when you wear one of Lynn’s one of a kind creations. “I was always creative and possessed an innate fashion sense. Thank you mom! All I thought about when I was growing up was becoming a famous fashion designer. I graduated with a degree in Fashion Design, so I never envisioned myself designing jewelry, it was always about the clothes. But then I thought the most beautiful way to accentuate any piece of clothing is with a wearable work of art. So I began creating individual works of art that would showcase the nature and color of each gemstone, which is why no two necklaces are the same. Each piece has its own personality and looked at as an individual to stand on its own”. Lynn’s style and aesthetic are always evolving. “I never know what I will create until I become inspired by the cut or color of a particular gemstone. It’s such a wonderful tactile experience. I create pieces with women in mind who are strong, confident, and have a defined sense of style. I love big statement pieces, I always have, which is why the backs of my necklaces are just as important as the front. There’s also something comforting and empowering about wearing a grand necklace. So go ahead, pile them on, more is not just more, it’s fabulous! With that said, I am very excited to launch my new venture and I hope you will be to”.